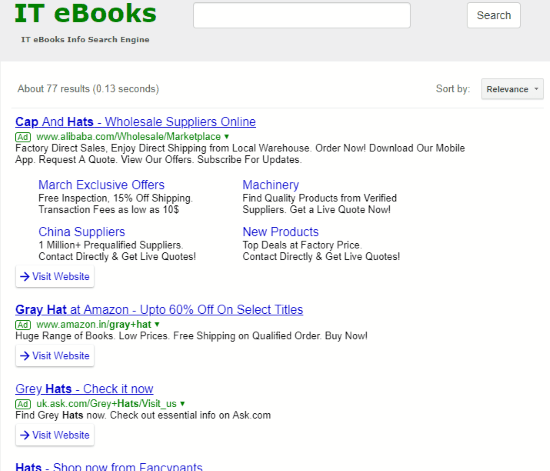 In this blog post, you will read about online search engine for eBooks. For that, I’m wrapping up 5 search engines from where you can find books from several websites. The search engines are so helpful that shows you all the eBooks in one place. All you have to enter keywords in the search bar. Then, start searching for the eBooks. After that, you will get results from various websites that have that specific book for which you have searched. A few of these search engine lets you customize the result of eBooks. You can sort results by popularity and relevance. Also, you can find eBooks by entering the exact phrase, author name, etc. Apart from this, you can get the PDF, EPUB, TXT file of the eBooks. It is quite a good option that you don’t just find the eBook but also get to read content in different file formats. The search engines can be a good option for kids as you can prevent them from searching irrelevant content on the internet. You can let them read illustrated eBooks with audio and engage them with their study. So let’s read about online search engine for eBooks. 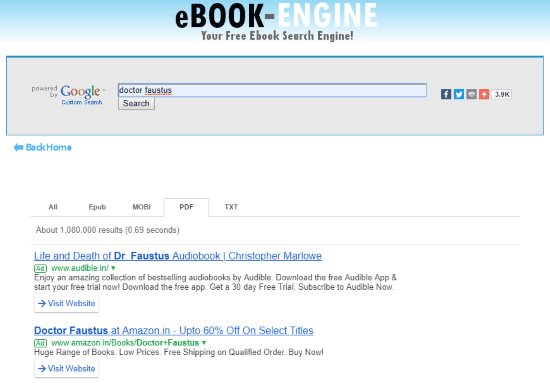 As its name implies, eBook-Engine is a search engine for eBooks. Using this online search engine, you can find books of your choice. Then, you can read them. When you open the website, you will see a search engine. This free search engine provides you result according to different categories. There are categories such as EPUB, MOBI, TXT, and PDF. You can find books by categories. Also, you can enter the title of the book. If you don’t remember the book name then you may enter custom keywords. The search engine shows you result from various websites. Besides that, you may get extra information related to the book. 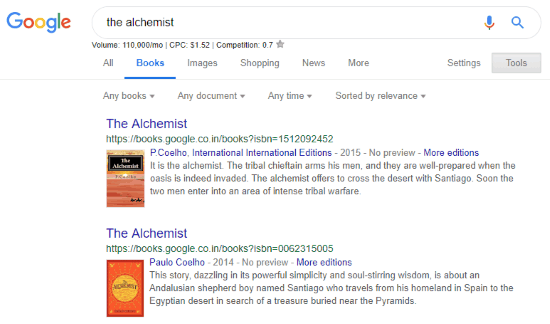 For example, if you type a book name, it shows results that belong to different topics for the same book. You can visit the links appears in the result. They show you content which you can download as PDF as well. Dlfeb.com is another online search engine for eBooks. Using this search engine, you can customize your results. You can find books by entering keywords. For advanced searches, you can enter the required details below. There, you can mention custom words, exact phrase that you remember, author, publisher, etc. Thereafter, you can click on the Search button to view results. The search engine shows the various result from several resources. If you click on the book link, it shows the book name with a cover page. Each result is mentioned of book format like EPUB, PDF, etc., with the file size. It is a great way to analyze which file you want in which size. The results display multiple sources. You can go to sources to visit the websites. Doing so, you can read the content online available on the Internet. CseGoogle.Com is a free search engine for eBooks. 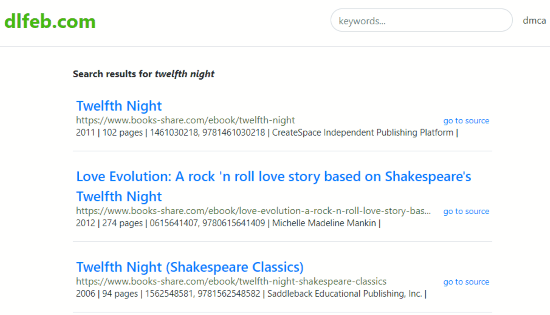 This is a simple way to find a relevant result for eBooks. When you open the link, a small search bar appears. You can type custom words related to the book. It can be the title of the book or any phrase. Once you enter your keywords, you can hit the search button. The search engine displays result from the multiple resources. It includes textbooknova.com, ebook300.com, ebookee.org, etc. You can visit any of the website links to view the content related to the book. In this way, you can search for other books. IT eBooks can be another option to find eBooks. As the name suggests, this website is specifically for the IT subject. All you need to enter a few keywords in the search bar. Then, it shows results from different websites. It becomes easy to find eBooks in one place. Then, you can find the appropriate content to read. Books like Gray Hat C, React Native Cookbook, UX Strategy, etc., can be easily found using this search engine. Also, you can sort the result by date and relevance. 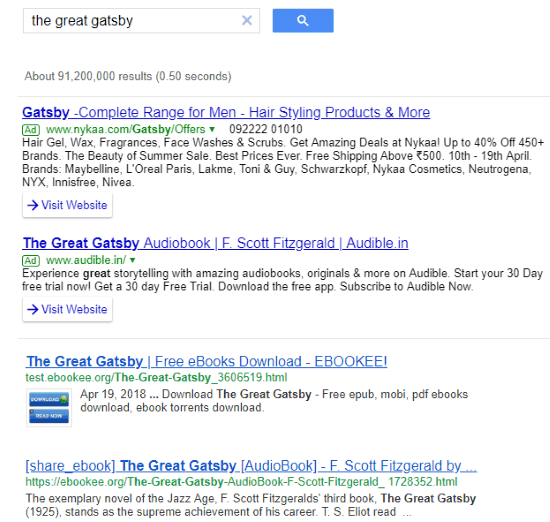 Google Books is the name of the other search engine for eBooks. This works exactly like the Google search engine. Here, you can search for an eBook. It has a vast collection of eBooks. Once you type the book name or custom words, it displays the complete index of textbooks or eBooks. Not just this, using this Google books search engine, you get the recommended result as well. If you type a word in the search bar, it shows suggestions below. And when you hit the search button, this search engine provides your result that belongs to various resources. This can be the most amazing way to find eBooks in a sorted manner. The search engine has categories as well. It includes images, shopping, videos, news, etc. So, when you search for an eBook, you can find the shopping platform to purchase those books. Similarly, you can get the new, videos related to that eBook. The online search engine is a great way to find eBooks. Just right after entering a few keywords or the title of a book, it shows you eBook results. All the result displays from the different sources. Then, you can visit the resources to read an eBook. Also, it is a good way to protect your children from searching for inappropriate content.